My Mind Wanders...: Thank You! My thanks to the brave soldiers and individuals who risked their lives or lost their lives on Dec 7, 1942. You are all heroes! 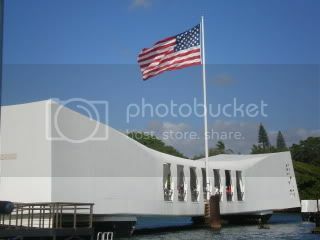 Pearl Harbor, the one time I visited Hawaii, I went there. Very moving. Thanks to everyone who fights for, and wins freedom. What I got to see of Hawaii was mostly gorgeous, especially Maui. Though, it's probably been much more commercialized. Lots of folks love living in Hawaii. I suspect, though, at some point, the native Hawaiians and others will demand their independence, again, and take it back. There's a growing movement over there, and lots of simmering anger against the government for past and current betrayals.